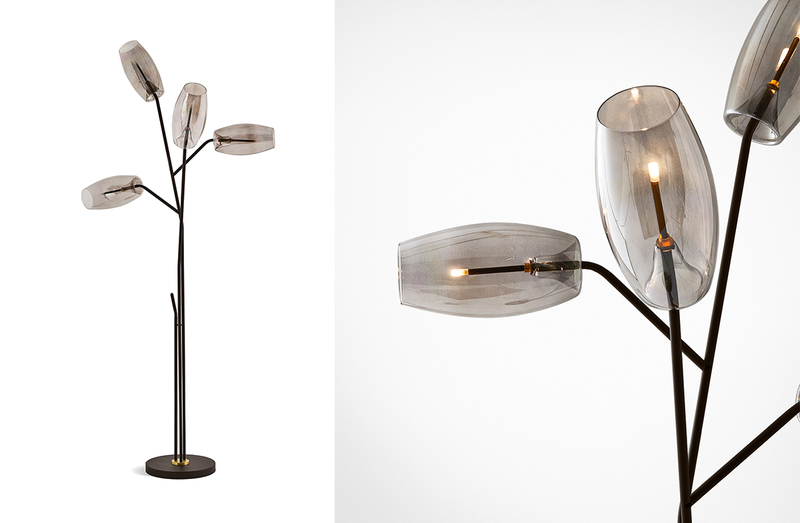 Floor lamp with 4 hand-blown glass shades and structure in blackened bronze metal. LED 6W lamping. Please see ADDITIONAL SPECS for sketch.